In my recent blog post on Dalveen Pass, I talked about my desire to fit in some landscape photography while on an Easter holiday with the family. Dalveen Pass was easy to fit in as it was a short detour off the M74 while on the drive up to Scotland. I was really looking forward to my family holiday but there was really no way I was going to spend a week in the highlands of Scotland and not do some sort of landscape photography! Fortunately, my family agreed (kind of) and so I was able to take a morning off from holidaying and take my camera out to capture some images. But where to go? I was staying in a small village just outside of Oban in Argyll, so I could feasibly drive to any number of amazing locations. The obvious choice was to go to Glencoe. I had amazing photography adventure there last year, and normally I wouldn't hesitate to go back, but in the back of my mind, there was a location I wanted to visit even more. Scotland has many amazing castles to photograph, but to me, Kilchurn Castle is one of my favourites. 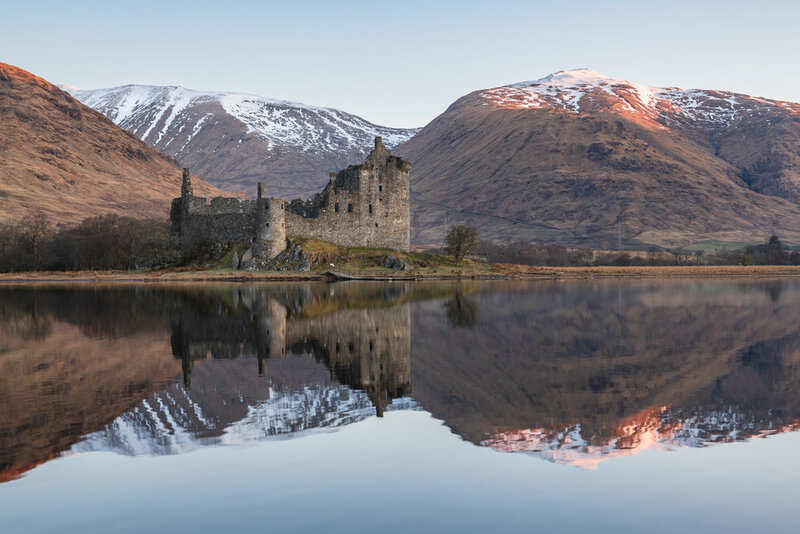 I grew up only a few miles away from Kilchurn Castle and so I had seen it from the road many, many times. I'd even visited the castle a couple of times. However, now that I am a landscape photographer I was desperate to revisit the castle to photograph it. With the exception of one day, I could pick any of my holiday days to visit Kilchurn Castle. A quick check of the weather forecast showed that the first full day of my holiday was for very light winds. This was ideal for the type of shot I wanted as there was a good chance that Loch Awe would be very still and provide some great reflections. The only trouble was that I would need to get up very early and I would be tired from a long drive the day before. However, if the conditions were to be as predicted it would be so worth it! Let's see how I got on. As you can see the conditions were a bit of a mixed bag. I certainly got the glassy reflections on the loch, but these annoyingly disappeared for a while when the sun came up. The sky was also a little too clear. Some clouds would have added something a little extra to the images, but on the whole, it was a pretty special morning. Well worth getting up early for! One thing you didn't see in the video was the other photographers that were there. I always enjoy having a chat with other photographers and the conversations I had were very welcome and good distraction from the cold. One of the photographers I chatted to, Dan Rooke, also has a YouTube channel, and I recommend you check it out here. 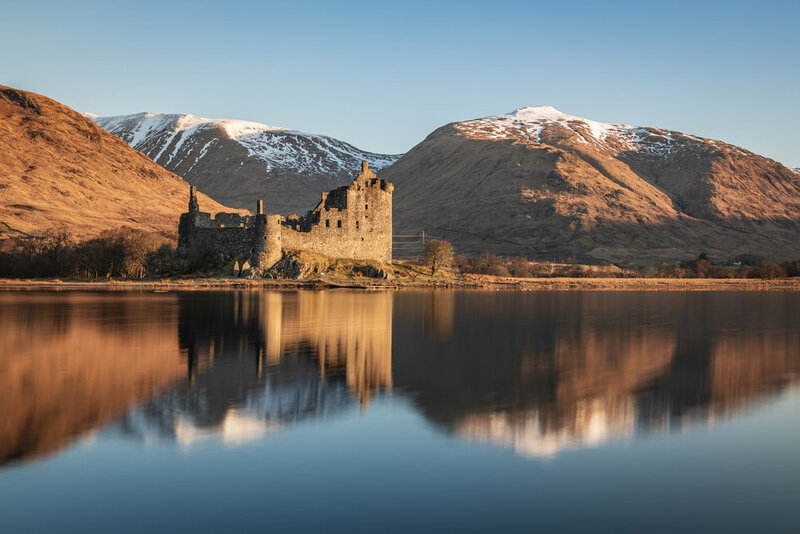 So have you photographed Kilchurn Castle before? Where would you have gone if you had just one morning to take photographs? Let me know in the comments below. Here is a selection of the photographs I took that morning. Nikon D850, Nikkor 24-70mm f/2.8 VR at 50mm, 1/5th sec at ISO 64, f/11, Lee Filters Circular Polariser. Nikon D850, Nikkor 24-70mm f/2.8 VR at 38mm, 6 secs at ISO 64, f/11, Lee Filters Circular Polariser and 6 stop ProGlass IRND. Bit of a bonus photograph for you. 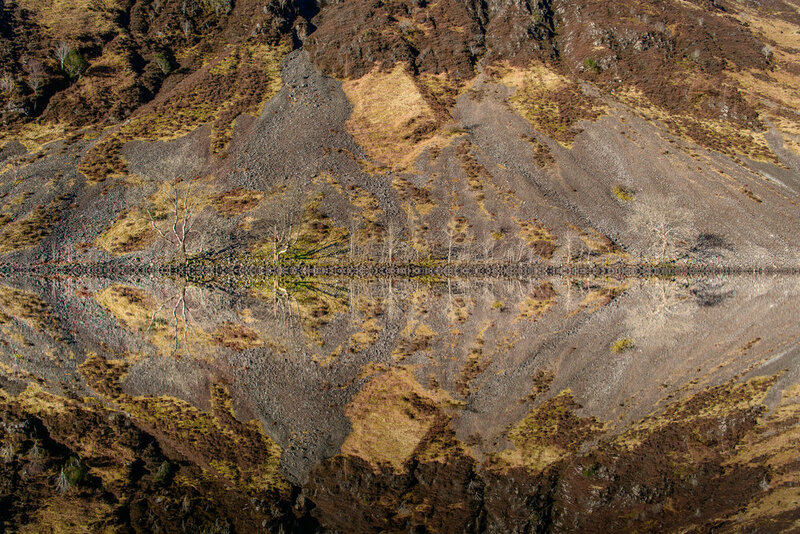 As I drove home from Kilchurn Castle I noticed the near perfect reflections on the Pass of Brander so I just had to share this image with you. Nikon D850, Nikkor 24-70mm f/2.8 VR at 24mm, 1/50th sec at ISO 64, f/11, Lee Filters Circular Polariser.